When we opened the curtains this morning to find a carpet of white Bud was very excited. Sadly the snow quickly turned to rain and we didn't have enough for a snowman in the first place so we didn't have the opportunity to go and play outside. I had the perfect antidote in the form of 'Jack and Boo's Snowy Day', written by Philip Bell and illustrated by Eleanor Bell. This is a book that we have been enjoying for a few weeks. Bud is actually a bit younger than the intended audience of primary school children but it is a lovely book to read aloud and the pictures are great too so I feel it is a book that will grow with him. I really like that the illustrations feature a drawing on top of a photograph. This is a really innovative style and one that I haven't come across before. The story follows Jack and Boo as they explore their surroundings on a very snowy day. They look closely at nature in winter and this is echoed through the main page illustrations and small pictures around the text. 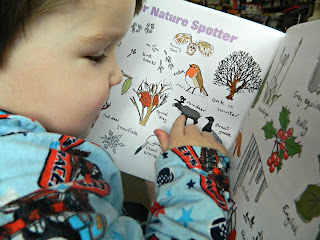 At the end of the book there is a nature spotting guide to use in winter and suggestions for snowy day activities, which I thought was a really clever addition. Bud loves hearing the story as the text is written in free verse and also features quite a bit of alliteration. I found it really rhythmical and pleasant to read and, whilst it is a little longer than many of Bud's other books, he really enjoys the animals and words used to describe them. 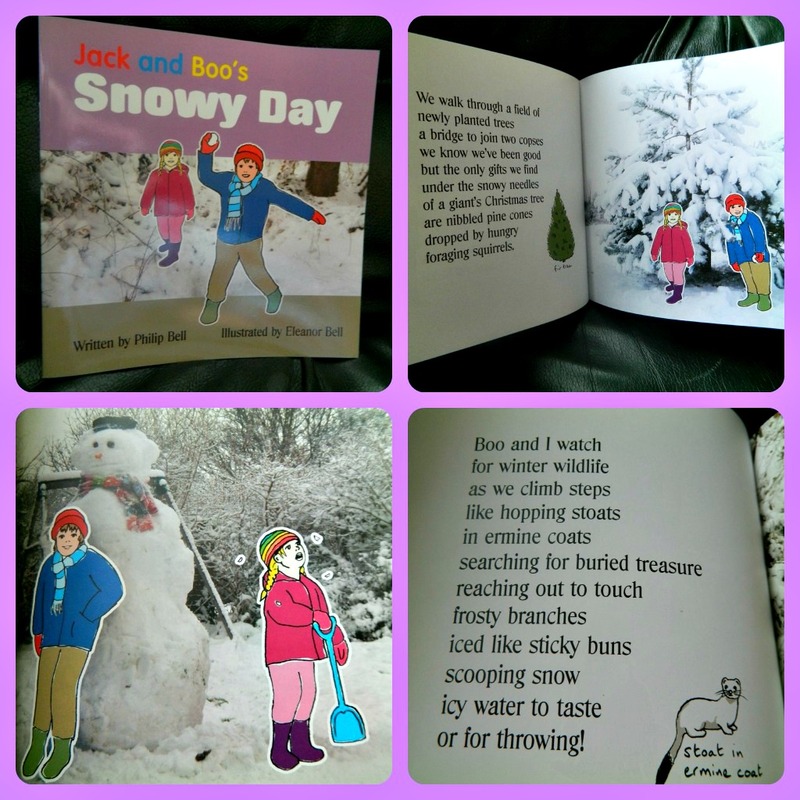 Jack and Boo's Snowy Day is published by Beachy Books and priced at £5:99. 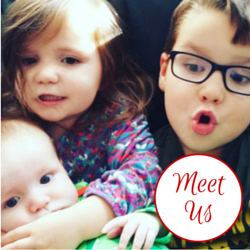 It is available to buy from Amazon . Disclaimer: I was sent this book for review purposes, as always the thoughts and opinions contained within are all my own.